The Department of Health and Human Services has named the winners of its challenge focused on software that can help clinicians address issues in health information technology and electronic health records. The Easy EHR Issue Reporting Challenge tasked teams to develop tools that aid EHR users in identifying, documenting and reporting potential safety issues in health IT systems in real-time, HHS said Wednesday. The James Madison Advisory Group secured the top spot and won an award of $45K, while second- and third-placers Pegwin and the Jared Schwartz team each won $25K and $10K, respectively. Don Rucker, the national coordinator for health IT, said the department expects to see healthcare providers experiencing less obstacles in reporting safety issues once the winning entries enter the production phase. 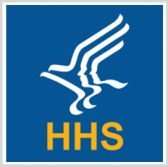 HHS noted that many EHR users expressed a need for user-friendly and improved platforms that can simplify the reporting of safety concerns with minimal or no impact to clinical processes.